What Would Mike Do? : The hotel blog: Hotel for sale: Motel 6, Greensboro, N. C.
Hotel for sale: Motel 6, Greensboro, N. C.
This property (formerly the LandMark Inn) has had some renovations, was recently accepted as a Motel 6 franchise, has glaring security problems (not the least of which was three homicides in a two month period some years back), and still has a long way to go. But its location can be its salvation if it is upbranded to a mid-market product, a complete renovation occurs, some product differentiation is implemented to go along with that, and some corporate marketing is implemented. Also, quite a bit of acreage is included. It's a voodoo hellhole, but you should buy it anyway. The property is located in Greensboro off of South Elm-Eugene Street near the interchange of I-40/Business I-85. A lot of east-west traffic through Greensboro still passes the hotel, although we can't know how long that this stretch of I-40 will stay I-40. 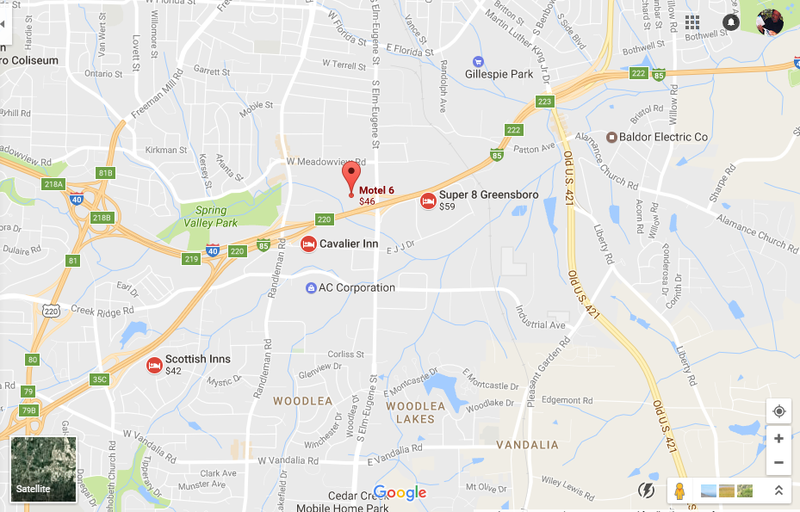 A new stretch of I-85 was opened south of Greensboro about ten years ago, and I-73 connects it to I-40 west of town; making a nice bypass for those who are concerned about Greensboro traffic on 40 right through town, and diverting north-south traffic up and down 85 away from Greensboro completely. Any new owner is going to have to have some hotel marketing know-how, and will not be able to rely on offramp business. Renting to rowdy local people has been tried as an option here and failed miserably. Greensboro is the third largest city in North Carolina, with a long history as a business, finance and industrial center, that thrives today because it was able to do a better job than many other cities of preserving its industrial base while transitioning to a more finance and technology-oriented economy. It's located at a merge point for I-40 and I-85, and the new I-73 intersects here as well. Bank of America has a significant presence here: one of BofA's earliest predecessors was a bank founded here in Greensboro by local businesspeople during the Great Depression right after every other bank in the city went broke as a result of the bank panic. Philadelphia-based Lincoln Financial maintains a large presence here after having acquired Jefferson Pilot insurance companies that were headquartered here for years. Longtime Allentown, Pa., institution Mack Trucks has shifted its headquarters here after being acquired by Volvo, which also owned Greensboro-based Freightliner. Other corporate demand generators include ITG brands (the successor to Lorillard Tobacco -- Greensboro benefited for years from cigarette manufacturing but fortunately didn't become as completely dependent upon it as Winston-Salem and Durham), and VF Corporation (Lee Jeans, Levi's biggest competitor, used to make blue jeans here until they shifted production offshore). Cone Health does not have a reputation as a referral hospital, but is rather large. Two constituent institutions of the University of North Carolina -- the University of North Carolina at Greensboro, and North Carolina A&T -- are located close to downtown, but accessible to this property. This property is in the Old I-85 corridor submarket. 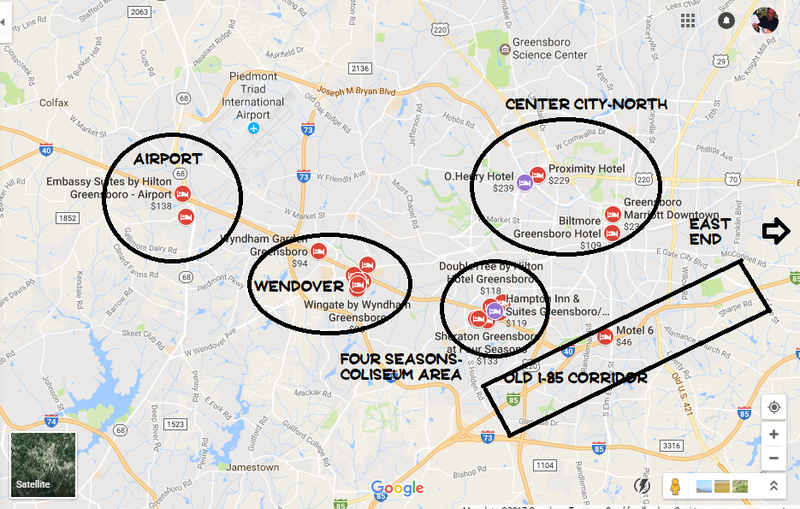 That is not the best submarket in Greensboro (most of the newer, better properties are clustered around the Airport, Wendover and Coliseum-Four Seasons submarkets), but it has an unfulfilled demand that could give this property a few more decades of life as a good hotel. As we pointed out, the dynamics of travel through Greensboro have changed over the last ten years with the new section of highway open, and if you buy this property, we're going to have to fix it up to an impeccable mid-market product, and look elsewhere -- corporate from the adjoining business park, group business from around Greensboro -- as our primary sources of business. Offramp traffic, people just passing through town by car, will continue to be a source, but not as many will know to stop here, and we'll have to work a little harder to draw those who do. We're going to put a little more into our complimentary food offerings (a continental breakfast in most hotels, but we're not above putting out a party platter or sending out for pizza in the afternoon, if people begin arriving faster than we can get them checked in), because there aren't that many eating places around. There's a Bojangles about two or three blocks away, but that's about it. Four things are going to have to happen if this property is to succeed as anything other than the voodoo hellhole overdue for a date with a bulldozer that this property now is. 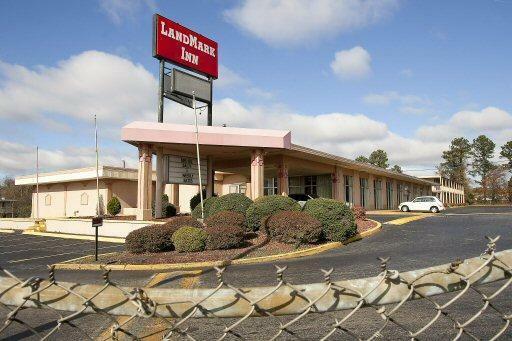 You're going to have to upgrade it to a mid-market product: Greensboro generally, and this part of it particularly, now has an oversupply of cheap old motels. You are going to have to include as part of this mid-market product enough differentiation so that it has a chance of drawing customers from the other Greensboro submarkets. And you are going to have to market it very aggressively. A full-time business development manager is something to consider, as well as some serious pre-opening marketing during the renovation shutdown that we will advise. While the South Elm-Eugene Street area was characterized as a high-crime area in TV news reports following the 2009 run of shootings at the property, there is nothing on the block on which this motel is located that could reasonably cause this to be a high-crime location -- except for this motel. There are no rowdy bars, strip joints, or any other nearby businesses nearby that would in themselves draw a bad element (there's even a Greensboro police station on the next block, for Pete's sake . . .). This motel, and its owners, are responsible. Indeed, if you look at it on Google Earth, what you'd notice is that it should be pretty easy to secure. While visible from I-40 and the old I-85, it's at the isolated end of a dead end street. We generally urge fencing for properties that are located in urban and built-up areas, and this property is for the most part, fenced already -- with a gate, even -- and it should cost us comparatively little to complete the fencing, set up electronic security checkpoints, and common-area video monitoring systems. No one's going to come there except someone invited there, and with a well-designed and properly installed and maintained monitoring system, anyone who comes or goes should have their presence on the property, particularly their passage in or out of that gate, noted, along with their plate number. If "the area" has security problems, this motel is probably much of the reason why -- and if we get control of it, end of problem. I'll bring a team of security guards over from Winston-Salem to lock it down and clean it out if I have to: they specialize in hotel security, and they've locked 'em down before. As far as "the reputation of South Elm-Eugene Street" goes, I'd give some thought to making some arrangement with the post office to have the address of the property changed. Look at the map: the hotel is actually located on West Carteret Street, its South Elm-Eugene Street mailing address notwithstanding. Perhaps the Postal Service would (and may even prefer to, if they already deliver mail there now) assign a number to it. That would get it away from the cachet, locally, of South Elm-Eugene as a high crime area, with anyone for whom that's a concern. Carteret County, N. C. (for which the street was probably named) isn't that bad: I grew up there. And anyone from out-of-town with a GPS in their car or on their smartphone should have no difficulty finding such an address. We'd probably transition to 100% non-smoking as we deep clean and renovate: it's a trend that even smokers have made their peace with and with an exterior-corridor property, there's really no good reason not to. And if renovations were completed, current TripAdvisor reviews note a few fresh dings that maintenance hasn't caught up with (to put it politely), so more renovation is necessary. Other elements of the contemplated renovation: that tacky, angled canopy extension over the planter in the front is coming down. And we're going to smooth out some of that 'EFIS sculpting' you see all over the buildings, or at least paint over it. 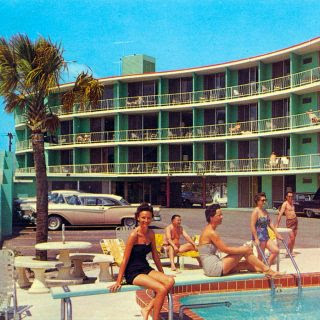 Nothing you do is going to make a fifty-year-old motel look modern, but in its day, it had a look that people now miss. All rooms will be furnished with memory-foam mattresses, brand standards permitting. Upon completion of all renovations, and reopening, this property will be submitted to TripAdvisor's Clean Slate program. If you can't even control your property, how can you hope to manage it -- or be hospitable, by any definition? If you can't even keep your guests safe, anything else you could do for them is ultimately, wasted. We have better things in mind to do with this property besides secure it. We're not going to get crazy with it or go off the cliff with it: it won't function very well as a hotel if it runs, and looks, and feels, like a correctional facility or a military camp. But we're going to confront and address this first, because it's basic, and essential, and needs to be handled before anything else happens. This property needs to be shut down completely "for renovations" for a few months. With the recent Motel 6 property improvement plan done, this shouldn't be necessary, we should be able to do renovations in stages one building at a time; but I'm pretty sure there's been no local marketing since, yet according to TripAdvisor, security problems have continued. So, I don't see a customer base worth keeping, and so let's just go on ahead and clear them on out of there completely. Having it in the sales agreement that the property is to be delivered completely vacant at closing is something to consider. The minimum rack rate at this property when it reopens is going to be $72.00 -- if you want to pay less than that, check into one of those two properties over on Seneca across the highway. That ought to cut out a lot of our problems right there. Local residents pay rack if we take them at all, it won't take much by way of bad behavior to get them on the 'DO NOT RENT' naughty list; and if they mess with me or my staff, we'll just lay on a 'no locals' policy and not rent to anyone whose drivers' license address is in Guilford or any neighboring county, at all. 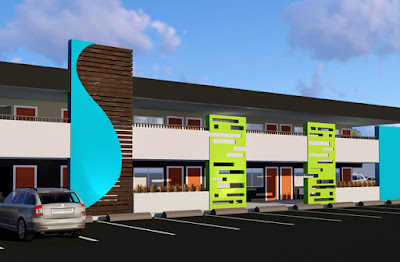 Both facility design and management, as Beechmont would approach it in this location, will reflect the need to maintain this property as a Class A mid-market property. If you sign Beechmont as your management, it will be run in accordance with Beechmont's General Management Doctrine. Every room will be furnished with a refrigerator, microwave and coffeemaker -- a real Mr. Coffee-type coffeemaker, not one of those cheesy little four-cup 'motel models', with real coffee mugs for people to steal (we'll even pay extra to have the hotel logo printed on the mugs so that at least we get some promotional value out of it when they get stolen). Next to the convection oven in the pantry/kitchen where we make the fresh-baked goodies for the complimentary breakfast will be a diswasher where we can wash the mugs. Aerial photos show a pretty good sized amount of space in the lobby core building, indicating that when this property was new, it had food, beverage and meeting facilities. We are going to use that. Any meeting rooms will be renovated and made available for events and community groups, and any food and beverage facilities will be converted to a catering kitchen for use by local caterers to support any banquet needs by groups using the meeting facilities. The lobby is probably going to have to be gutted and renovated in any event. We are going to be careful about what we put into that space. Some retro sixties events -- sock hops, nostalgia festivals -- would go right with the franchise affiliation we're contemplating, but this property's biggest (if not best) days as a party spot are behind it, and we'd like to keep it that way. 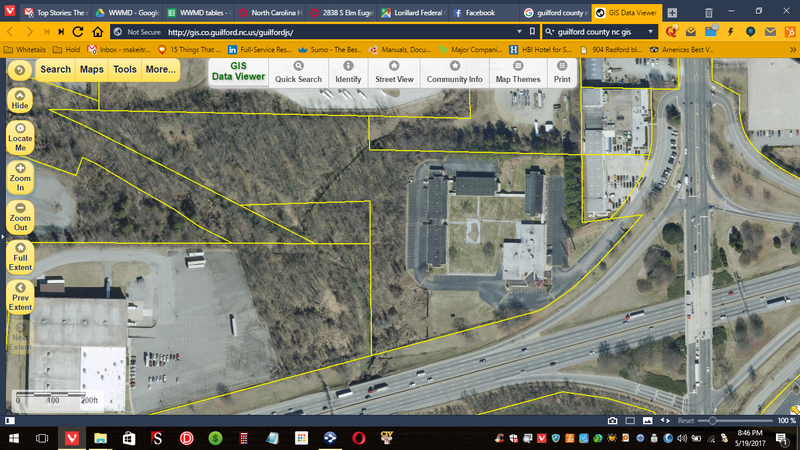 Certain things are going to occur in marketing any hotel, but we want to focus on what will work in Greensboro generally, and at this property particularly. One commonly-found mid-market property amenity, a utility vehicle -- a van or station wagon -- should be acquired and maintained to offer shuttle service to the airport, Freightliner (this should go over nicely with Auto Truck Transport, which can be a really great corporate customer) and other area points of interest. It's also going to be very package heavy. At the very least, we're going to have our three-day/four-day rate (that's a 12% discount for a committed stay of three or four nights -- a three-day rate can begin on a Sunday, Monday or Tuesday; a four-day rate can begin on any day of the week), and a seven-day rate (20% off, and that's not a weekly rate, it's a discount with a minimum length of stay). This is the essential concept behind extended-stay: your costs go down if your guest stays more than one night, so pass some of the savings along to the guest, and make your property the place to stay if you're staying in town several days. Not even dedicated, all-suite, extended-stay brands do a very good job of it, but Beechmont plans to make it a hallmark of our brands as we launch them. And we've learned over the years, you don't need an all-suite property to do it, just the capability. Make sure you have a refrigerator and microwave, and a halfway decent place to store and prepare some food, in most of your rooms. In this property, that will be particularly important because there are not any eating places within walking distance. 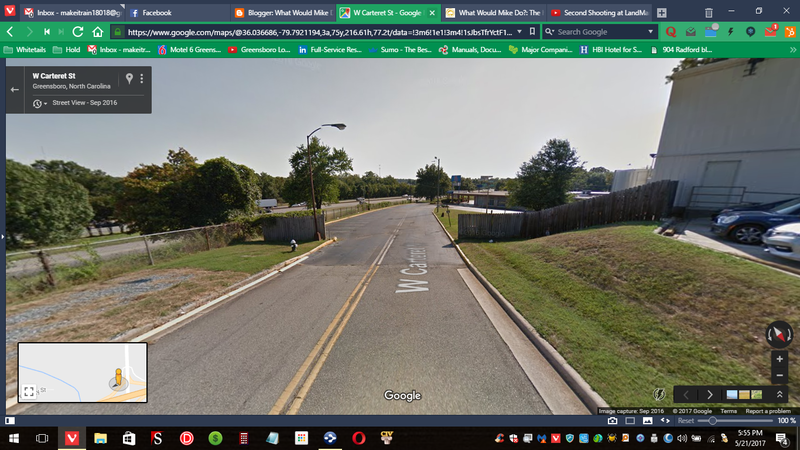 I see lots of space here for an on-site motorcoach service facility that should help us bring in a lot of bus tour business; and while this property is without truck parking specifically, with 11.88 acres, we can work out something. 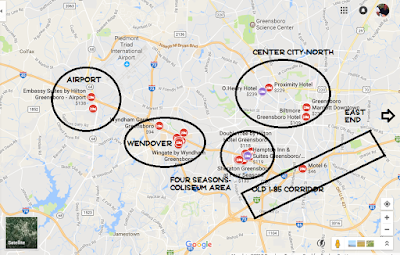 In addition to the companies and other demand generators shown above that have a significant presence in Greensboro; Aramark, Mother Murphy's (they make artificial flavorings, including the chemicals in that glass of chemicals that you had with your breakfast this morning that make those chemicals taste like orange juice), ABC Supply (steel products distributors with more than a hundred locations all over the country), Blue Line Foodservice (food products distribution for Little Caeser's Pizza and other fast food chains), Eagle Compressors (bottled oxygen and breathing systems for divers and firefighters), Elastic Fabrics of America, Goodyear Wholesale, Hills Machinery (they sell construction equipment), Kyrie Global (cold storage and logistics), Mylan Pharmaceuticals, N. B. Handy (they make commercial HVAC, roofing, and sheet metal supplies), Precision Fabrics, Triad Partners Federal Credit Union, and UPS have a significant presence in this submarket. Possible corporate demand generators in this submarket are so abundant that the area would rate construction of a new hotel, even if it wasn't so seemingly so much more 'risk free' to build it in the Wendover area instead. Look up "forward-looking statements" on Wikipedia and read the definition. Offramp traffic will never again be quite what it was when this was a newer property, but we plan on keeping coupons in both the red and green 'travel guide' coupon books that you find in the rest areas, the lobby of Denny's, and the North Carolina Welcome Centers. And of course, as we do with all of our hotels, we will endeavor to establish positive ties with local community groups -- and have them work for us as an active customer referral source -- through our Community Partner program. NONETHELESS WE DO NOT RECOMMEND KEEPING THE MOTEL 6 FRANCHISE HERE. Here, we recommend Red Lion's new Signature Inn brand. This submarket of Greensboro is so in need of a new hotel in the mid-market category, yet so unlikely to get one -- any developer, or any lender, would likely prefer the path of lesser risk and put any new construction in the Wendover or Four Seasons area. But renovating an older one is a possibility, and the new Signature Inn brand was made to order for renovating a property such as this to a good, attractive, mid-market product. And a really good job of that would supply the product differentiation you need to compete successfully in the larger Greensboro market, not just the old I-85 submarket, and to draw customers from it to this location. We have no affiliation with Red Lion. (Over the last year, some people have started to wonder if Beechmont is getting to be the Red Lion guys, because recently we've come to recommend them frequently). What we like about Red Lion is that you can build a brand new one and stand it up against any Hampton Inn or Holiday Inn Express -- or take an older property, renovate it to pristine condition, and re-flag it as a Red Lion, and it would fit right in without having it make your new property look bad. The "older" look fits right in with the quirkiness. 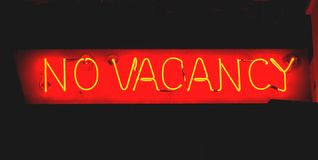 I'd like to add a switchable, neon 'No Vacancy' sign directly under the main, neon Signature Inn sign, if the Red Lion people don't have a hissy fit at the mere suggestion. They were quite common -- indeed, required signage of sorts -- back in the day, but then Holiday Inn banned them in their brand standards, and all other franchised chains have done so as well. 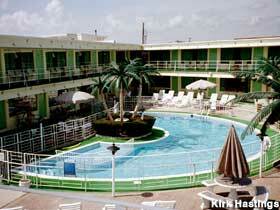 But the fact that you don't see them anymore is what gives them that 'retro' look that goes with Signature Inn. Besides, if you have a successful operation and have filled all of your rooms, why try to hide it? 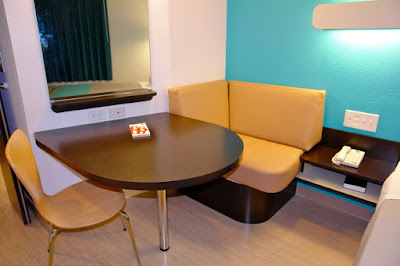 It's not -- as Holiday Inn was thinking when they eliminated them -- that you're going to find a guest another room nearby if you fill: usually, when you're full, every hotel in town that's of as good or better quality is full as well. Red Lion also has a bit of a talent for working out original, unique, likable new brands that answer dire needs that what bankers call "first-tier franchises" like Marriott, Hilton and IHG completely overlook. That's how we discovered the new Signature Inn brand, and that's much of the reason we're recommending it as a go even though right now there aren't that many Signature Inns out there. 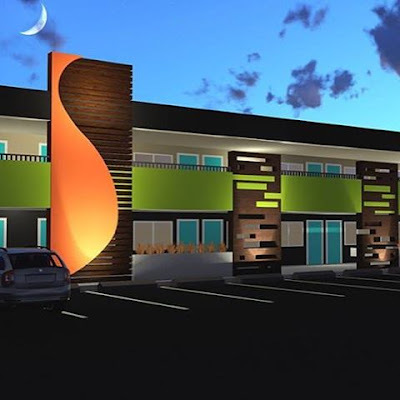 I'm not that much of a believer in hotel franchising anymore myself (I have my own brands worked out in concept that I'd like to launch, and wouldn't bother with a franchise at all if lenders didn't require them), and even I'd agree that this new brand, if supported properly and kept in integrity with its concept, has places to go. While Signature only has a few locations at the moment (and all three of those are throwbacks to when the brand was owned by another company altogether), that'll change. 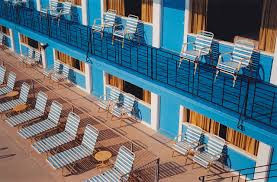 This brand is perfect for a lot of older brick-and-chrome properties of the old classic Holiday Inn - Howard Johnson's heyday back in the fifties and sixties, that might have another twenty or thirty years' life left in them if fully renovated. I want this Greensboro property to be a showpiece for it. Offer $1.6 million if that will get them talking. If they do start talking, you'll probably end up negotiating something closer to $1.9mil. Recent renovations to Motel 6 standards should make it close to three times gross room revenue, but that was like a Band-Aid on a sucking chest wound: more is needed. Meanwhile, this property's history is too troubled to insist on that much. Food and beverage should be limited to the required continental breakfast. We like to offer fresh-baked goodies on ours. This property would work better for someone whose investment priority is value appreciation, and the desire to create something unique. If your biggest need is instant cash flow, we're going to have to find something else that will work better for you. You should consider a Greensboro area property if you currently own or operate a hotel in the Baltimore area, Birmingham, Ala., Charlotte, Chapel Hill, or Winston-Salem, N. C,, Louisville, Ky., Allentown, Reading, Williamsport or the Philadelphia area, Pa., or Roanoke or Richmond, Va.; particularly if you are already experiencing success with one of the previously-mentioned companies or other demand generators at your current property. If you don't know -- preferably from personal experience -- how to market a hotel and cannot tell me exactly who your customers are going to be, and how you are going to draw them to it, you should not touch this hotel with a ten-foot pole. I do have firsthand experience, and even I would consider a full-time sales manager who has more specific hotel sales and marketing experience than I. This property's days as a trouble-free, lucrative, I-85 'road whore' are over, as of ten years ago when I-85 was re-routed south of town. And if you rent to the same local people who keep showing up in first one then the next of this property's TripAdvisor reviews, you're going to have no end of the same trouble, and you will not have my shoulder to cry on when it happens to you. Don't even think of skimping on renovations. This is not a 'make do with what's there' property. 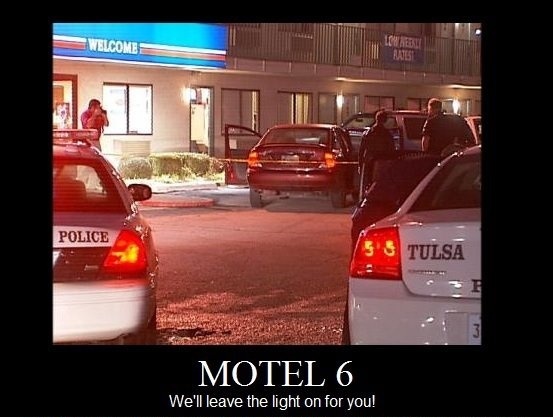 The Motel 6 punchlist is a start, but it's not a permanent solution. Not all necessary renovations are going to be financeable. If you cannot, even with financing, deal with the entire cost, we need to find something else that will work better for you. Furthermore, renovations will result in a period of no revenue, and even upon completion and full staffing, somewhat of an operating reserve will be necessary until cash flow becomes positive. Ultimately, you are responsible for your own decisions, including whether to rely upon our opinion or to confirm our assessment for yourself, and we neither assume nor accept any liability. When we choose -- ourselves -- a hotel offering to evaluate here, we choose only hotels that we have something nice to say about, a generally positive recommendation to make (even if we do point out any problems we see, or see some changes that need to be made, and give you a heads up to let's be prepared to deal with them); hotels that we wouldn't mind signing to manage ourselves for twenty years, that we'd perhaps buy ourselves if we had the capital available. Frankly, we hope that's just what will happen. When someone submits one to us, we're totally candid and spare no one's interests or feelings. If it's a bum deal, overpriced, in need of renovations that'll never pay for themselves, a voodoo hellhole in a bad neighborhood, not marketable to decent customers who'd pay a decent rate, or you'd be buying nothing but problems; we'll simply tell you, don't touch it with a ten foot pole, and we don't care who gets mad. Frankly, no, we don't want to get involved with a dump like that. If you are contemplating purchase of a hotel, or a hotel broker, and would like for us to complete an evaluation similar to this for you for the hotel that you are considering, send a PayPal for $100 to makeitrain18018@gmail.com .